What to wear in a Triathlon? 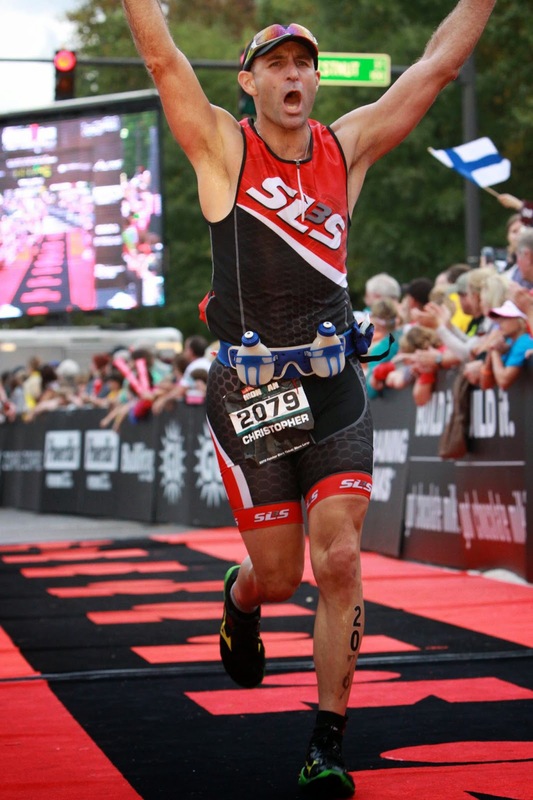 Triathlons are multisport endurance races that commonly involve a swim in open water, a bike ride and then a run. For beginner triathletes, what to wear on race day is often a source of concern and confusion. The clothing options will differ according to the weather, the race distances and your overall modesty level. Don't try anything new, clothing-wise, on race day -- make sure you have trained in the outfit you will race in. You will save time in the transition from swimming to cycling if you wear swim clothing you can also bike in. This could be a pair of swimming shorts that you can also cycle in, or cycling shorts in which you can swim. 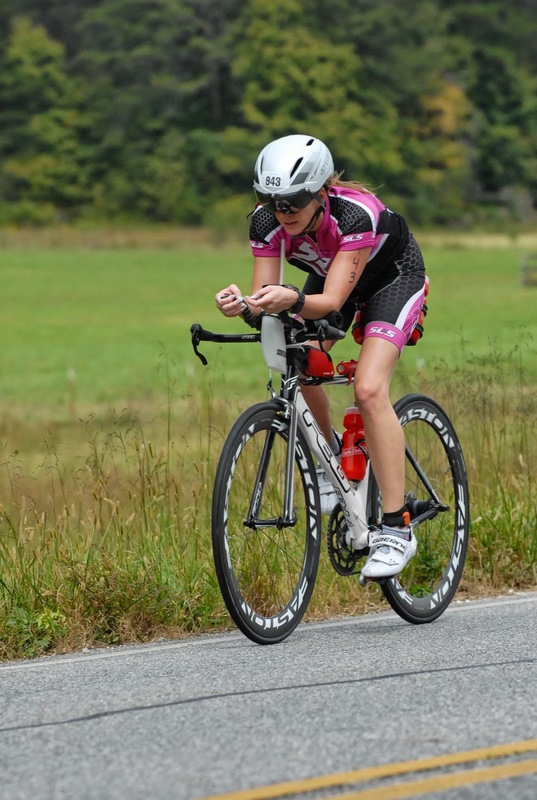 Many triathletes wear tri-shorts for all sections of the race -- these are similar to bike shorts, but have a fast-drying pad in the crotch area so you dry off faster during the cycle ride. In some races, you will be either allowed or required to wear a wetsuit during the open-water swim. Whether a race is wetsuit-legal or wetsuit-required will depend on race-day water temperature. You will also need swim goggles -- swim caps are typically provided at the race. When you emerge dripping from the lake or ocean after the open-water swim, you'll need to add clothing for the bike ride. Triathletes have the option of continuing shirtless (male) for the cycling portion of the race, or putting on a triathlon top. You'll need to towel off and put on your sock and bike shoes -- these can be bike-specific shoes that clip to your cycle pedals, or the same shoes as you will wear for the run. Sunglasses are a good idea, and official triathlons require all cyclists to wear approved safety helmets for the duration of the bike ride. Clothing choices during a triathlon involve compromises between speed, comfort and modesty. If you want to minimize transition times and maximize overall speed, you can complete the whole race in just a pair of triathlon shorts. At longer distances, you might need additional clothing to avoid getting saddle-sore in the bike ride and chafed during the run. Tri-suits are swimming suits that have a small amount of built-in padding and are a popular choice for speedy triathletes. Help SLS3 Grow by Voting Online Before June 19. Oceanside, CA – SLS3, a manufacturer of Triathlon and Compression sportswear has applied for a $100,000 grant from Chase’s, Mission Main Street Grants®. SLS3 must submit a questionnaire outlining a business plan that will result in growth of the business and receive at least 250 votes to be eligible for a grant. Customers, fans and community members can show support for SLS3 by voting at www.missionmainstreetgrants.com using Facebook Connect. The voting deadline is June 19, 2015 and grant recipients will be selected by expert panelists. 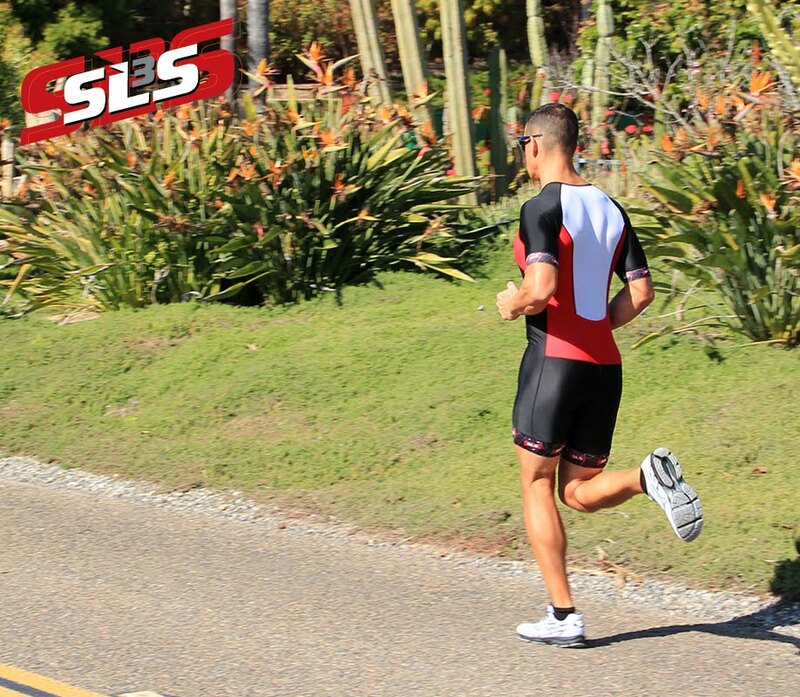 “SLS3 is striving to grow and expand by doing developing new and exciting products for the endurance market. Receiving this grant would be an unbelievable opportunity to ensure the work of this business continues in Oceanside, especially for our new line of compression socks,” said Sebastian Linke, co-owner of SLS3. Through Mission Main Street Grants, Chase will award $2 million to 20 small businesses across America. All businesses that apply for a grant and meet the eligibility requirements will receive access to a small business webcast by Premier Sponsor, LinkedIn. In addition, the 20 grant recipients will receive a trip to LinkedIn headquarters. The 20 grant recipients will be announced in September 2015. For additional details about Mission Main Street Grants visit www.MissionMainStreetGrants.com. 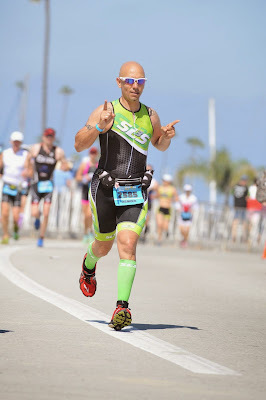 The idea of a Triathlon is to get from start to finish in the least amount of time, and changing from bike shorts into running shorts eats up that time, so using a triathlon suit allows you to wear the same outfit from start to finish. Comprising quick-drying fabric and a small chamois to make the bike ride more comfortable, they’ll help you get from swim to bike to run much more swiftly. You have the option of a Triathlon suit or a two piece (triathlon top and triathlon shorts). It is usually personal preference.